Clean, easy access, convenient location, great customer service. Rented a 5 x 5 unit. It was clean, easy to access and for us this was a great location. Signing up was easy and at a good price. Very helpful, understanding staff. Facility secure, well maintained. Would recommend and use again. I moved from one state into the Virginia area a little over three years and had used this facility to store my furniture and other valuable items. It was close to home and I felt comfortable with choosing Dumfries Self Storage on the very first day I was serviced. The space where my items were stored had been just the right size for me and really clean. The customer service was very pleasing as the owners personality was just a pleasure interacting with them both. I always had a pleasant experience and would, without a doubt, recommend anyone trying this business as I am 100% sure you will receive the same satisfying treatment as I had. If your looking for a secure, clean and pleasant place to store your treasures...Dumfries Self Storage is the best way to go! Yes, I would recommend the facility. This was my third time using Dumfries Self Storage, I won't go anywhere else. They are always clean and the staff I'd pleasant. I have never seen a roach on the property as I have at other places. I stored my things there for five months with no problem. Jill & Butch (Navy Veteran) were fabulous!!! I rented a unit for 15 months. Easy access, my belongings were kept safe and secure in a climate controlled environment. I highly recommend Dumfries Self Storage - you won't be disappointed! This facility is clean and easy to access. The staff is always nice, friendly, and helpful. I highly recommend this location. Super nice management at this facility, clean and excellent location! I starting story in Fredericksburg and was referred to Dumfries Self Storage when I moved north. Having had such great support in Fredericksburg I had hoped it would continue and I WAS NOT DISAPPOINTED! Easy in and out, with help just a short [phone call away. No nickel and diming on charges and always eager to find a way to make the experience great for me. I could go on! Polite, enjoyable, and with a well priced product for the area. Love this place and the persons working there! Friendly, professional, and extremely helpful! We had items stored at Dumfries Self Storage for over ten years. We were happy throughout with the service we received. Our items remained in good condition for the amount of time they were there, and management was always responsive to our questions and concerns. Highly recommended. Management and employees have ALL been very personable and a pleasure to work with. Very convenient. I have been using the facility going on 25 years. I first rented a unit here in 1993 and have added units since then. The closely monitored security cameras and current outstanding staff have been the best improvements. Being seconds from US Rt 1 and a couple minutes from I 95 just adds to the convenience. Very helpful staff. Very affordable. Easy to make payments on line. Good Service from good folks! I just completed a roughly two-year service with them, and could not be happier with the way have acted and treated me and vehicle. I would gladly do business with them again, and recommend them to all! The staff was very friendly and easy to work with. Thought I only needed storage for a few months but lasted over a year. Storage unit was always clean, dry and all items were perfectly maintained in a secure setting. Peace of mind, thank you! Great management, clean facilities excellent storage facility! Staff was very helpful when needed and access to location is restricted. Kept clean and all access doors with carts. The owners have always been really nice and helpful. I have had 3 units here and have never been disappointed. Butch and Jill Johnson are the nicest and most competent storage facility managers in the world. They are true professionals and super nice to everyone. If any two managers deserve a bonus, it would be these two fine people. It has great access - close to home, easy to get our RV to for storage. Butch and Jill Johnson are exceptional managers that made us feel welcome and appreciated throughout the entire time (almost 3 yeas) we used their storage facility and services. Their attention to detail and willingness to be helpful has no equal as far as we're concerned and we're confident that's what you'll find too . Butch and Jill are great and do whatever they can to be helpful. I have rented a number of storage units over the years and this may be the best. This storage facility has been one of the best I've ever use. These facilities are always clean and the Resident Managers ( Butch & Jill Johnson) are friendly and great people to work with. Butch and Jill Johnson are great to work with. You can always count on receiving a warm greeting when you see them. Very clean and well maintained. The hand carts in their building come in handy moving items from your vehicle to your storage unit. Very nice facility conveniently located off I-95. Peace of mind with managers on property, super friendly. Carts available to help move items from car. Pricing is competitive and I like to support local businesses when possible. Great location and staff super friendly! This is by far the best kept storage I have ever used. The staff is always ready and willing to help you!!! I recommend this facility to all my friends!!!! This was my first experience renting a storage unit so I had a million and one questions. I called enough times that even I would've been annoyed by me. But each time I was greeted with pleasant responses and kind offers that helped me in the long run. It's rare to find a good service oriented business that leaves you feeling secure about your decision to go with them. And it's very rare to find a good service oriented business that has the nicest people servicing you! Thanks so much for everything!!!!!! Good prices and friendly staff. You will not be disappointed in this facility. I stored furniture here for about 15 months. I was overseas so when it was time, a friend moved the furniture out for me. I called a few days afterward to make sure the account was being closed out; the staff was already processing the closing. Always super-friendly too!! If your looking for a unit for affordable prices then please go to Dumfries Self Storage. I remember calling in on a Sunday that they were closed but they were nice and generous enough to come in and offer me a unit. I was moving that entire day and stuck in soo much traffic but I continued to communicate to let them know I was still in route and they patiently waited and did not charge me extra for inconvenience of their time. Warm, friendly people. Thank you Dumfries Self Storage for your professional attitude. Professional management with small town southern thoughtfulness. First rate! This was my first time renting a storage and the experience was great. Is very accessible, clean and neat and Jill is amazing. She will do anything to please you. I really appreciate her service and help. I will definitely recommend this storage facilities to anyone. Also, location has an easy access from I-95. The Dumfries Self Storage Facility is one of the most efficient and user friendly facilities that I've had the pleasure to work with. I've been renting from them since 2005, over 8 years and have never encountered a problem. Butch and Jill Johnson have been running the facility since I started renting and have shown continual outstanding support by always going the extra mile to ensure their customers come first. Their rates are very competitive with incentives given to first time renters and other promotional incentives. I would recommend Dumfries Self Storage run by Butch and Jill to anyone that has storage needs both short term or long term. We've been renting at this facility for many, many years. Butch and Jill are the wonderful to work with and do a great job in keeping the facility in top notch shape. Their rates are competitive in the area but the customer service is outstanding and I would recommend anyone visit the site and experience what we've experienced throughout the years. They are a great asset to Dumfries Self Storage! Thank you for everything! I rented a unit from Dumfries Self-Storage for almost one year. I was very satisfied with the cleanliness of the property, ease of access to my unit, and the ease and efficiency of electronic billing and payment. I got my unit here at Dumfries Self Storage in 2011 and I have been happy with them ever since. It’s a great unit sizes located near the front entrance. The on-site managements make a difference to me as I feel secure using my unit knowing someone is near should I run into any problems. I am very satisfied with the friendliness of staff that has always been courteous. Dumfries Self Storage has the best prices too. Butch and Jill (the owners) are a pleasure to deal with. It is a great location with a family feel. These people make this place! The hours are very convenient with the facility being open 6 days a week and with daily access. I feel very safe storing my stuff here in this nice clean facility with secure gates, monitored cameras, and on-site management. If you use their facility, you will be in good hands because they go far beyond just signing a contract. While you are a customer, they will go out of their way to help you with any needs that may come up. I definitely recommend this facility if you need storage. They exceed my expectations regularly and provide excellent customer service as well. We have used Dumfries Storage off and on since 2005, depending on our requirements. We have stored a Class C and Class A RV's. In addition, we have used the storage facilities moving to and after selling our home in Dumfries. The facilities have proven to be invaluable. Butch and Jill Johnson have been extremely helpful. They are knowledgeable of what is available to meet the needs of the customer. Most of all, they are kind and courteous. Any business would be fortunate to have them manage their business. We are proud to call them friends and if ever needed, we would use Dumfries Storage Facility without hesitation. They are outstanding people. Absolutely wonderful. Great service and friendly people. They waited a few min after closing so that I could get a storage space and move in. Exceptional service by Butch and Jill. I rented several different units and they always went out of their way to help me find a unit that met my needs. This storage area is well-maintained, clean, and has convenient access to I-95. 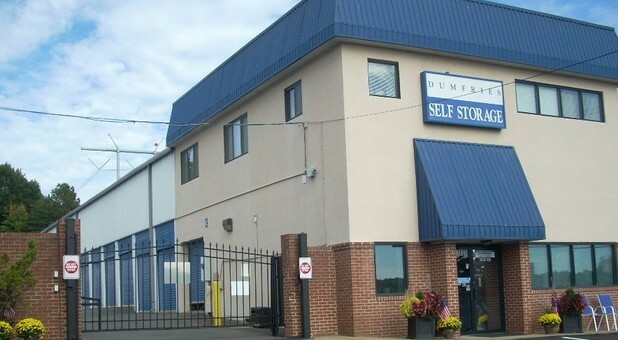 I recommend this location to anyone needing storage in the area south of Washington DC.